Storage solutions have become ever more innovative over the years as people move into smaller and smaller spaces. Sure, we've gotten better at streamlining our lives and possessions, but the fact remains that clutter still tends to build up over time. So today, we're daring to claim that we have found 8 storage solutions you won't have seen before. Some may be familiar solutions with a twist, while others (fingers crossed!) are totally unique. At the very least, there is definitely something here to get our readers inspired to think differently about storage. We promise! Foldable kitchens have been popping up a bit lately. They usually consist of some simple cabinet doors or a single panel that can be slotted into place. 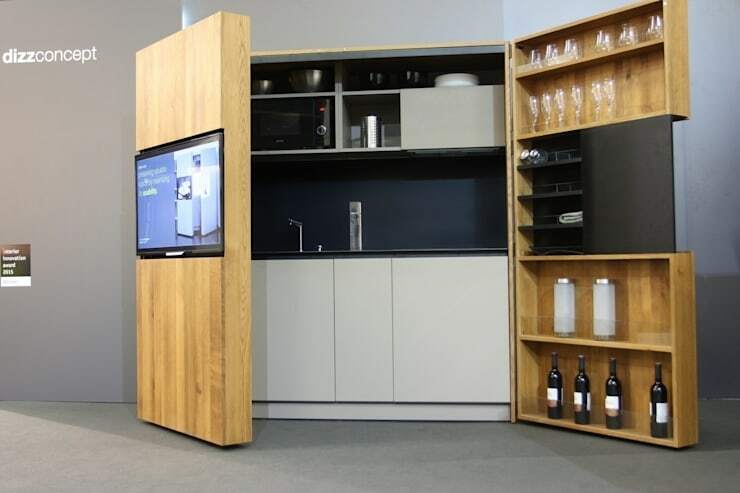 But here we have a foldable kitchen with a storage unit. It has shallow shelves that are perfect for condiments, wine glasses and cutlery. It also looks like it has a small blackboard as well. On a side note, check out the wall-mounted TV on the left. Seating benches with built in storage aren't entirely new, but this bench also does triple duty as a step. It's subtle, totally hidden from view and it's extremely functional. 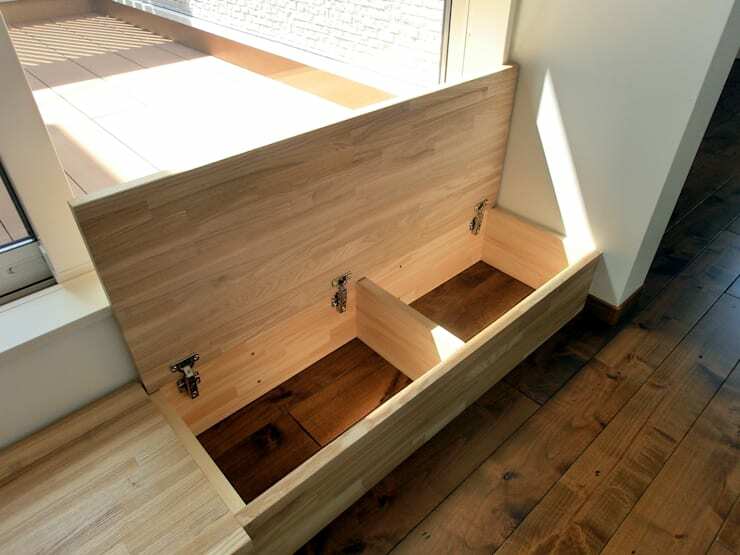 This kind of storage solution could be used in a platform bed or loft as well. There are really countless applications. Most people living in small homes know just how useful a kitchen trolley can be. It's a little portable piece of furniture that can be used for extra bench space, storage space and popped out when needed. But it can sometimes get in the way if you don't have a good storage spot. 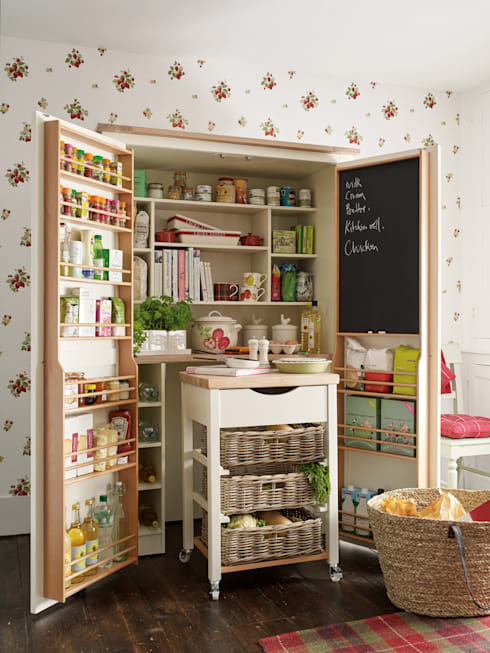 This little kitchen pantry has the ideal solution. It has the perfect little storage nook under a shelf. A wine collection adds a totally sophisticated look and feel to the home. But keeping the wine bottles out of direct sunlight can also be a little tricky to store if you don't have the space. 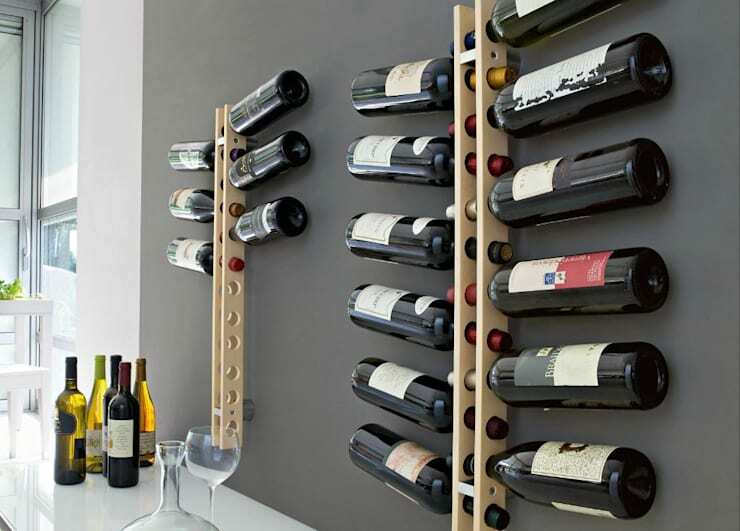 Why not turn it into a display with those wine racks. They can be mounted on the wall so they don't take up any bench space as well. Now… they are just all too easily accessible! Unique bike racks are a huge area of exploration for product designers at the moment. There are lots of wall mounted options, but few that look at stylish as this! 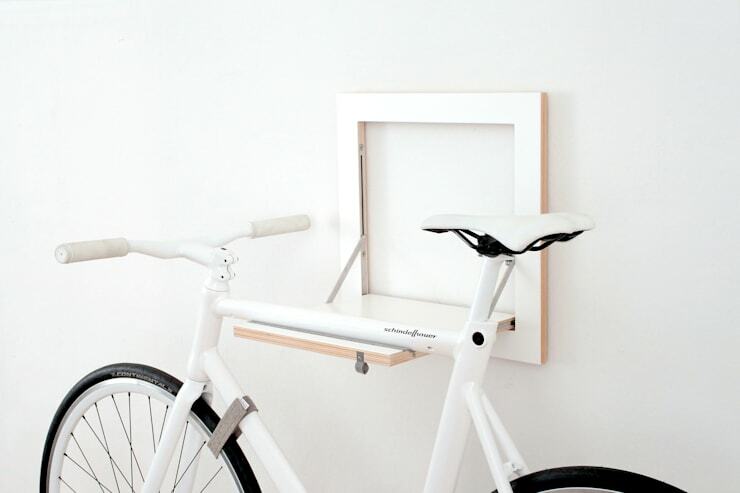 Whoever thought a bike rack could look so beautiful and minimalist! It's also very practical for those with narrow hallways. Note how the pop out shelf can be folded up to sit flush with the wall when not in use. 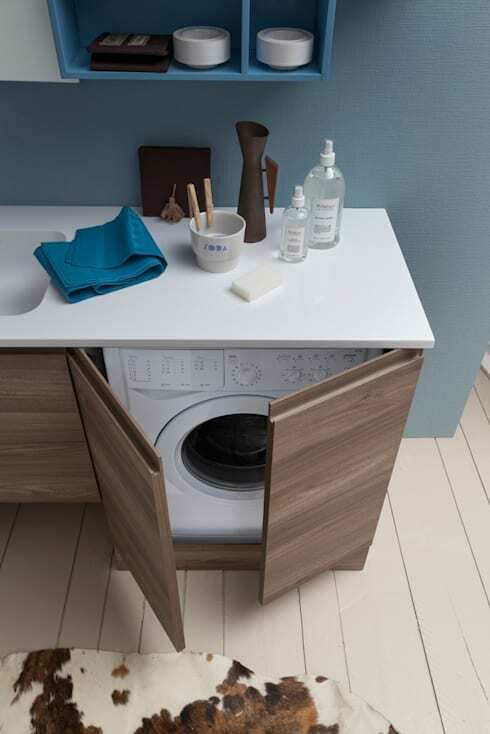 There is nothing glamorous about storing the washing machine in the bathroom, but this solution is simple and slick. The washing machine is out of sight and the top doubles as bench space to store daily hygiene products as well. Sometimes the simplest solutions are the best! No article on unique storage solutions is complete without some staircase storage. This one has a familiar twist on an old theme. The stunning combination of shapes, contrasting sizes and materials certainly lifts it up a notch or two in the style stakes. 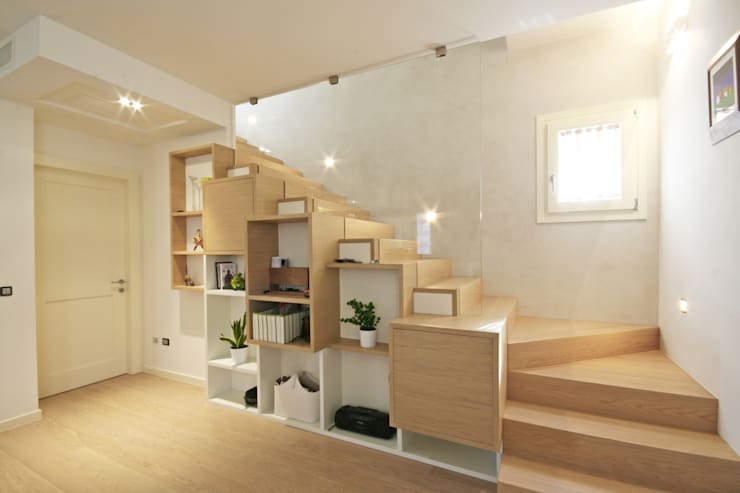 It's an under staircase storage system that doubles as a display cabinet. Those who have done their research on bedroom storage may have already come across the idea of using your side tables for storage space. But it's unusual to see bedroom storage as narrow and tall as this. The best thing about it is that there are lots of narrow baskets on rails. This is a little storage area that really earns its floor space. For more home makeover ideas, check out 9 simple ways to beautify a tiny bathroom. Have any storage ideas here caught your interest?